4k00:08Man Watching Green Mock-up Screen Digital Tablet Computer While Sitting at the Desk. Man Watching Videos or Browsing Through the Internet. In the Background Cozy Living Room. Shot on RED EPIC-W 8K. 4k00:10Man Using Hand Gestures on Green Mock-up Screen Digital Tablet Computer in Portrait Mode while Sitting at His Desk. In the Background Cozy Living Room. Shot on RED EPIC-W 8K Helium Cinema Camera. 4k00:13Young Woman at Home Laying on a Couch using with Green Mock-up Screen Smartphone. 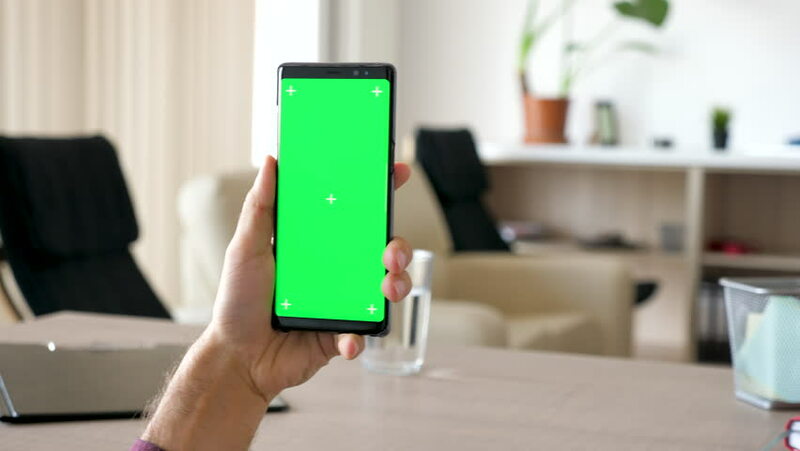 Girl Using Chroma Key Mobile Phone, Internet Browsing, Posting on Social Networks. Point of View Camera Shot. hd00:08An over the shoulder shot of a young woman video chatting outside with green screen on her smart phone.